Actions speak louder than words and Trump’s hypocrisy knows no bounds. He claims to “love women” and promote them in the business world, yet his boorish behavior speaks otherwise. He judges women on their physical attractiveness and boasts that “grabbing them” in most disrespectful ways is funny and part of his entitlement package. He insults women in positions of power and mocks the MeToo movement, never acknowledging he contributed to its existence. Sadly, he covers his tracks with money and yes-men (and unfortunately, some yes-women) who will sell their souls to the devil to stay on his good side. 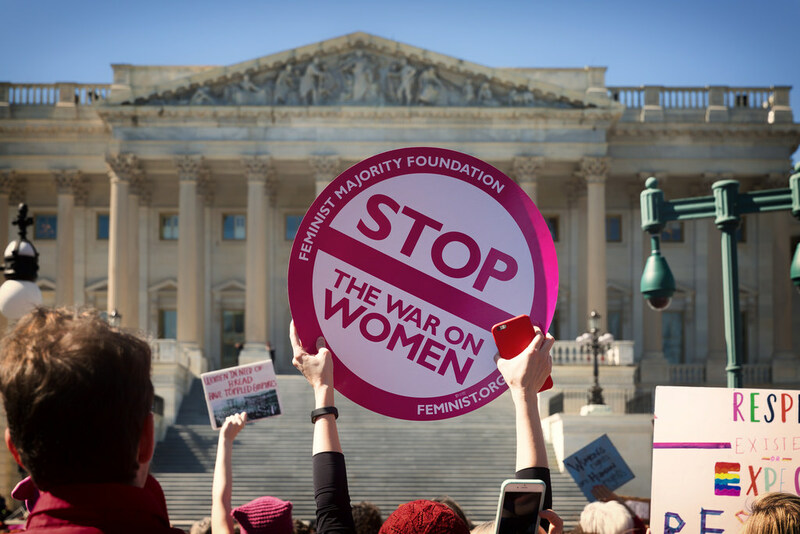 Trump’s push to outlaw legal abortions could portend a broader regressive trend for American women, especially if he can garner enough support from his base. After decades of fighting for equal pay, opportunity, and respect, Trump and his ilk could do serious damage to much-fought-for strides for equality. Progressives of both genders need to remain vigilant and fight back whenever a move is made – however subtle — to relegate women to lower status. Trump wears a fake halo when convenient, but eventually his true colors show through loud and clear. He pretends to support and promote women, but his calculated actions speak for themselves. His guise of “protecting women” is potentially a means to turn back the clock for them, just as he is doing for other Americans he doesn’t truly respect or understand.